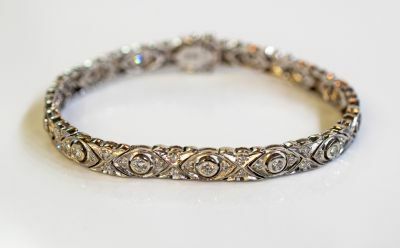 A beautiful Edwardian style 18kt white gold bracelet featuring 14 diamonds est. 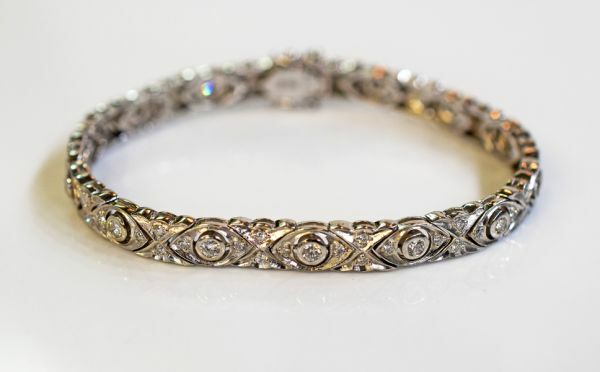 0.74ct (VS2-SI2 clarity & G-H colour) and 56 round brilliant cut diamonds, est. 0.56ct (SI1-I1 clarity & G-H colour). It is approx. 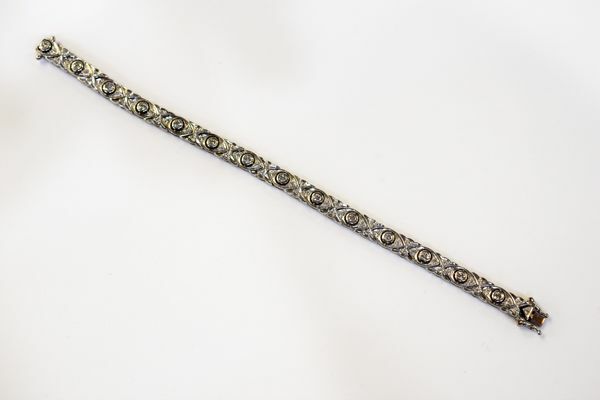 6.5 inches (16.51cm} long and has two hour glass safety clasps.